In the world of renewable energy resources, solar energy is, well, hot. The Solar Energy Industries Association, a solar trade organization, notes in its Q4 2015 report that solar supplied 29.4% of all new electricity generating capacity brought online in the U.S., beating out natural gas additions for the first time ever. Overall, the report continues, the U.S. installed 7,260 megawatts of solar photovoltaic cells in 2015, the largest total ever and 16% above what was installed in 2014. Residential solar accounted for the largest sector. Beyond the increasing interest in using clean energy, some consumers have been motivated to convert to solar for their electricity needs by federal, state and local tax credits, as well as rebates that can help offset installation costs. And third-party ownership opportunities, in which homeowners essentially lease the solar panels rather than purchase them, are increasingly popular, too. 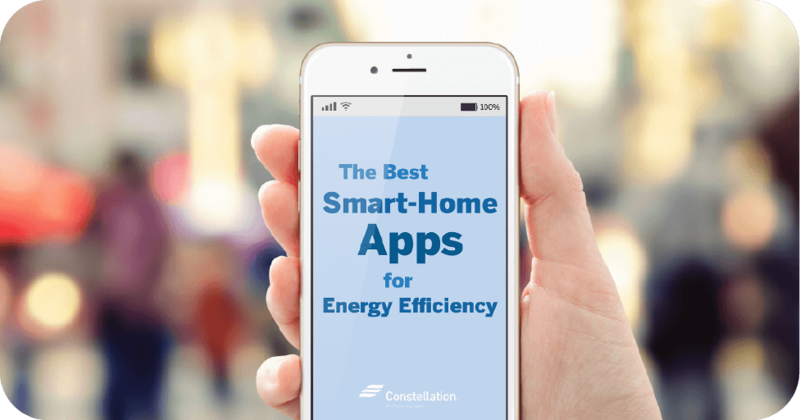 As part of its continuing strategy to offer consumers more clean choices, Constellation is now offering more solar options for residential consumers. The residential program, which rolled out in April 2016, is offered in various states around the country with more states expected to come. Here’s what you need to consider before converting your home’s electricity source to solar energy instead. Solar energy creates no pollution at all. Specifically no carbon dioxide or other heat-trapping gases, and harmful emissions. Solar energy also avoids potential environmental risks associated with mining or drilling fossil fuels. Solar energy uses little to no water, which is in contrast to almost all power plants making electricity from steam. Solar panels are silent. There are no moving parts. Solar systems are fairly easy to install and require very little maintenance. 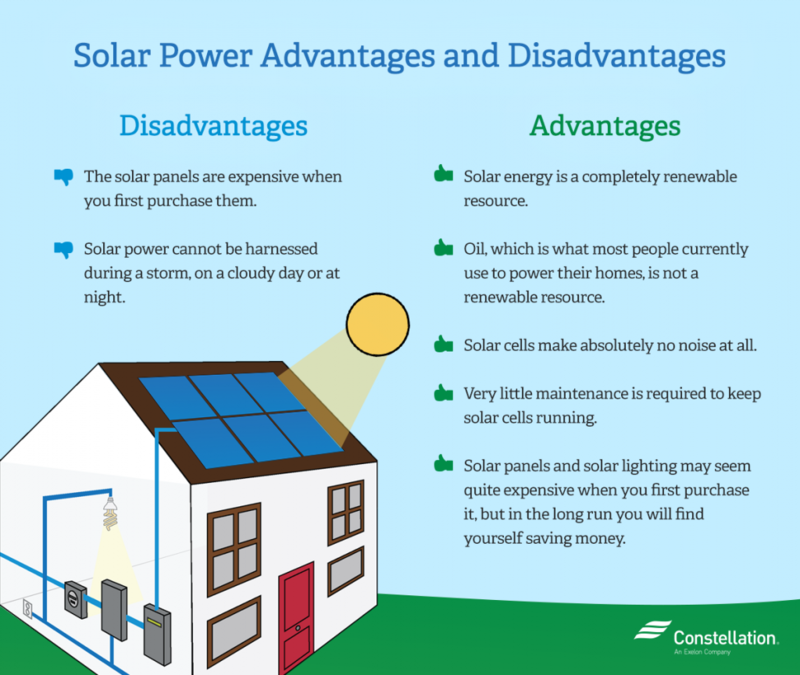 Both are handled by your solar provider, if you opt for a solar lease or power purchase agreement (PPA). Depending on the system, initial costs to install can be expensive; however, lease options can lower that initial cost. Solar power can’t be harnessed for later use or during bad weather, such as rain or even heavily cloudy days. That means you’ll still need the ability to use power from your existing utility. You may need to live in your home long enough to reap the full financial benefits if you make the initial purchase rather than lease, although that can be passed on to the next owner of your home. You’ll need to consider a few additional points when deciding if home solar panel installation is the right economic choice. Size matters. So does siting, both in terms of when and how the sun hits your panels, and whether and where the system will go on your roof. (Sometimes, if your yard is large, panels can be placed there, although there is an additional cost to do so.) Local covenants should be explored to ensure you’re not violating any homeowner or condominium or local city or town regulations. Climate is another consideration. Obviously your home needs to receive a fair amount of sunlight in the course of a day. Where the sun hits your roof and how long it receives full sun are critical, as are the electricity demands of your home. Energy.gov suggests that homeowners design a system to provide 40-80% of a home’s needs. 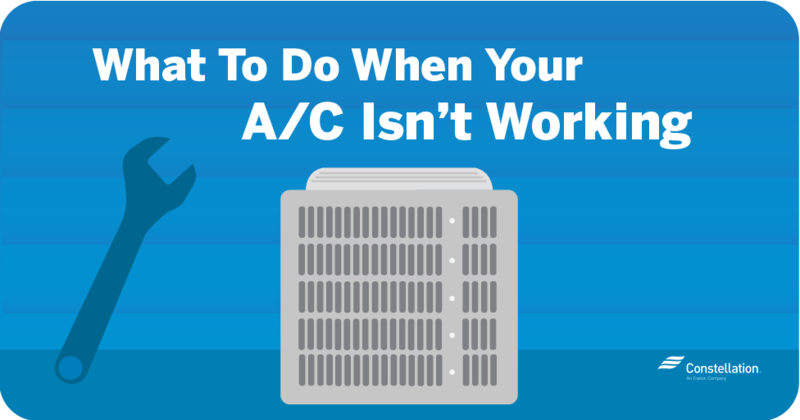 Systems that provide less than 40% may not be cost-effective. 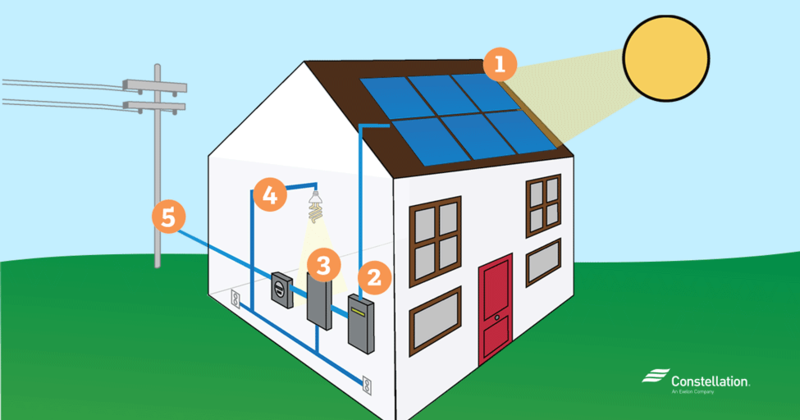 Before deciding if going solar is the best route for your home, it’s important to understand how solar energy works. We all understand passive solar. We open our drapes or curtains in the winter to allow the sun’s warmth to help heat our homes. Even animals seem to understand passive solar energy, as they curl up in the spot on the couch where the sun shines through. Architects and builders often design and site homes to take advantage of heat from the sun in winter. Large windows that face south, for instance, can provide passive heat from the sun. In the warmer months, people use awnings and perhaps blinds or drapes to keep the sun’s rays at bay and therefore ensure their home is cooler. Solar energy technology takes advantage of this general idea to harness the sun’s heat and intensity into usable energy. Photovoltaic cells, located on those flat solar panels you’ve likely seen on rooftops, convert sunlight into electricity. Sunlight hits the surface of the photovoltaic cell on the solar panel. An inverter converts the direct current (DC) electricity into alternating current (AC) electricity. 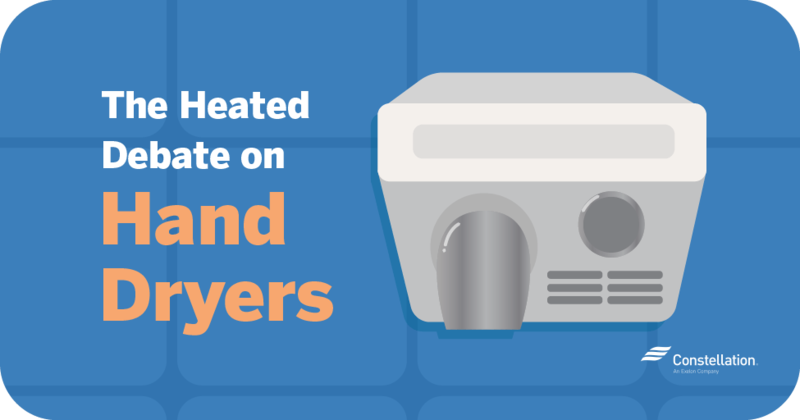 AC electricity is what is used by household appliances. The meter monitors production received from the solar panels and the inverter, and sends the information to the utility through a wireless signal. The solar electricity from the inverter flows through this service panel first to your home and then to the grid, if there is excess production. The electricity meter reads the power that you use from the grid as well as the excess solar electricity that flows to the grid from your solar system. Some consumers may worry that the benefits of solar energy are outweighed by the price of converting their home. On average a 4 to 8 kilowatt solar electric system on a home can cost homeowners between approximately $15,000 and $29,000 including materials, installation, and labor according to a recent GTM Research U.S. Solar Market Insight Report. These costs can vary based on a number of factors, including house location, quality of solar source, roof quality and shading, as well as incentives for solar. While consumers can certainly pay for the panels upfront, leasing options can make solar more affordable for homeowners. Called leases or power purchase agreements (PPAs), these contracts allow homeowners to essentially rent the panels. With a lease you pay a fixed monthly “rent” in return for using the system. With a PPA you pay a fixed price per kWh for power that is actually generated from the solar power facility. Both typically require no money down. Homeowners still get credit for any excess energy their system creates and the power purchase agreement can often be transferred as part of the sale of your home. If you still have questions about whether or not home solar panel installation is right for you, we’re here to help you make the right energy choices for your home and family. This article describes about the working process of solar panels. Solar energy are much efficient for working all kind of works. this article show that how much efficient a solar panel is. thanks for sharing this with all..
Hi, thanks for stopping by! We’re glad to help. In my opinion, the most important thing is that solar energy is a truly renewable energy source. It can be harnessed in all areas of the world and is available every day. Hi Kevin, we love your outlook. Solar energy certainly has a bright future! Your blog is really very informative. I understood how solar works and how solar systems can help us to save more money. Investing on a solar panel is a smart move that can help people to keep their wallet fat. Moreover, solar energy is clean and eco-friendly. I have bought a residential solar panel for my house from Your Energy Solutions and I am highly satisfied with the tremendous energy efficiency. A big Thanks to you for explaining all the features and benefits of buying a solar panel from a reputed organization like YES or Your energy Solutions. You defiantly deserve big thumbs up! Hi William, thanks for the support! This is very nice idea, that every home’s rtoof cover with solar panel. lots of solar energy gain. Thanks for sharing this info. Its very much nice, every one once have to think on it, try to implement this. that for this conceptual blog. Its imp for Solar panel system installer. Hi Eliana, thanks! Solar energy is a great option for many energy-users. Hi Andrew, thanks so much. Thanks for sharing this article. Actually, most of the time people don’t know that how exactly solar works. how they Monitoring or maintenance the solar panels, I hope this article will help them to Get to know and maybe they are going to having benefits of solar panels. Wesley, thank you for the kind words! We’re glad to give people the information they’ll need. Well, solar energy system helps people to generate electricity with no cost. This is the main reason that people are converting to solar energy systems. That’s really cool to know the details behind solar energy works. I’ve been looking for the best renewable and pollutant free energy source for my home and I think solar might be my best option. I’ll have to talk to an installation company and see all the potential benefits for my home. Thanks for the awesome and detailed info! Thank you for the compliment! We’re so glad to hear that you have confidence in Constellation, and we appreciate your business. Constellation works with Sunrun for solar panels. For more information, please contact Sunrun at 1-844-751-2166. Is Constellation installing the system? Does Constellation provide any estimate as to the amount of savings for individual installations? Constellation works with Sunrun to install solar panels. The amount you might save will depend on several factors, including the direction from which sunlight hits your roof, the climate where you live and the number of panels we’re able to install. For more information about how solar panels could work for you, please contact Sunrun at 1-844-751-2166.